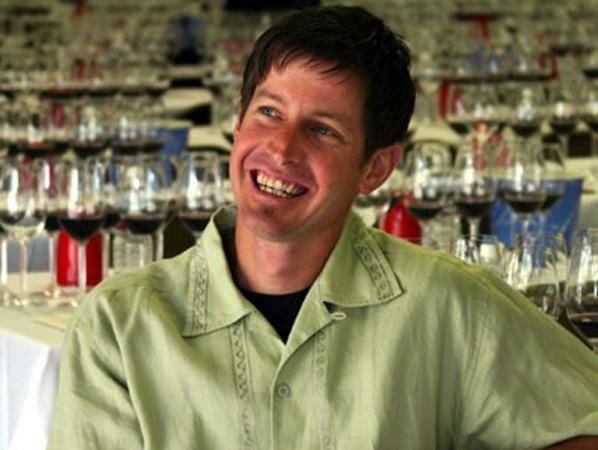 "One of the superstar, artisinal winemaking operations in Paso Robles is Heather and Justin Smith's Saxum Vineyard. The Smiths are also the proprietors of the James Berry Vineyard, an exceptional hillside site planted in pure white limestone, a site that provides extraordinary richness, minerality, precision, and individuality. Like his colleague to the south, Manfred Krankl, Justin Smith has been moving from strength to strength, building more elegance and nuances into his wines without sacrificing their intrinsic intensity, purity, and richness. Saxum Vineyards is focused on producing Syrah, Grenache, and Mourvedre based blends from the Templeton Gap of Paso Robles, California. Production is kept at a total of 2200-2800 cases per year divided between 6 different cuvees, Broken Stones, Heart Stone Vineyard, James Berry Vineyard, Booker Vineyards, Rocket Block and Bone Rock. The vineyards' rocky calcareous soils, steep hillsides, and region's cooling ocean breezes are evident in their wines. Yields are kept extremely low, fruit is picked at the peak of ripeness, and a minimalist approach is used in the cellar. Saxum's vineyards are all farmed to strict standards. They respect the land and farm it sustainably using no chemical fertilizers or pesticides. Everything in the vineyards is done by hand. Because the vine's roots penetrate deep through the fissures in the rock irrigation is rarely needed."